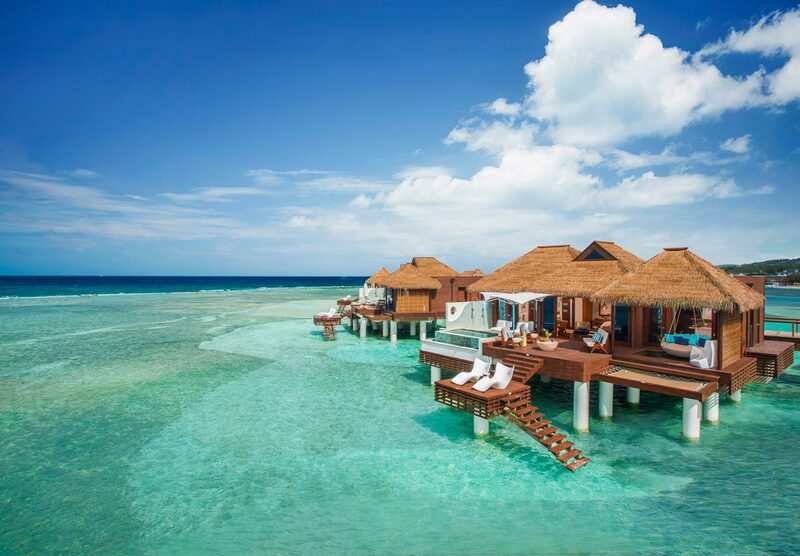 We’ve already told you about the Over Water Suites at Sandals Grande St. Lucian and now Sandals Resorts is welcoming guests to 12 new Over Water Bungalows at Sandals Royal Caribbean! 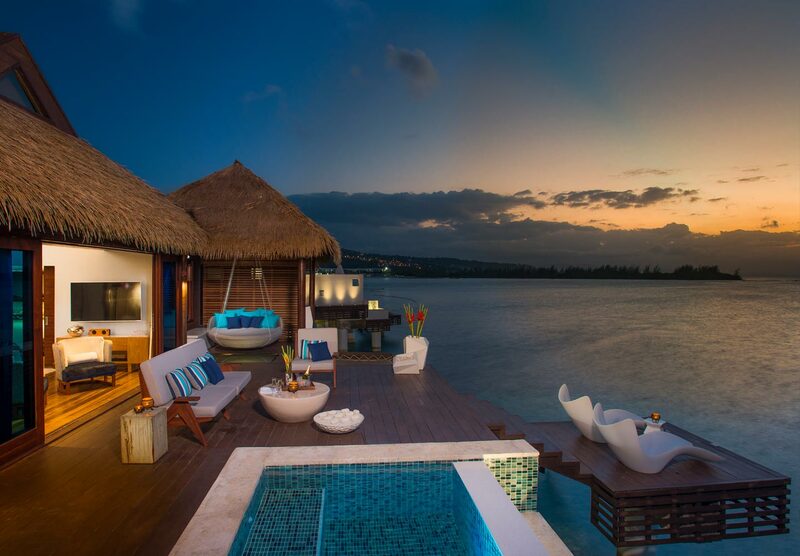 When Will The Over Water Bungalows Open? The 12 new Over Water Bungalows are open to guests on March 4, 2017! What Amenities Do The Over Water Bungalows Have? These gorgeous Over-the-Water Bungalows deliver complete immersion of the fine turquoise waters and rich marine life below. 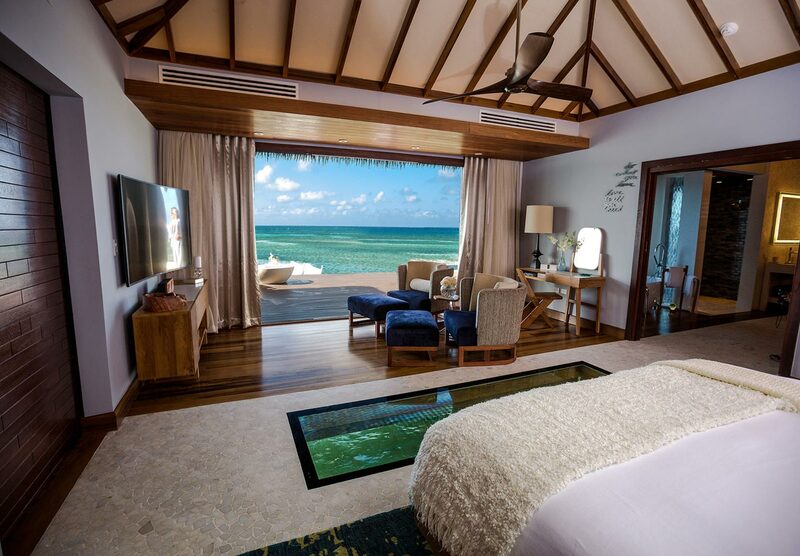 Glass vision floor panels and lit water ensure guests can enjoy undersea views at any time. 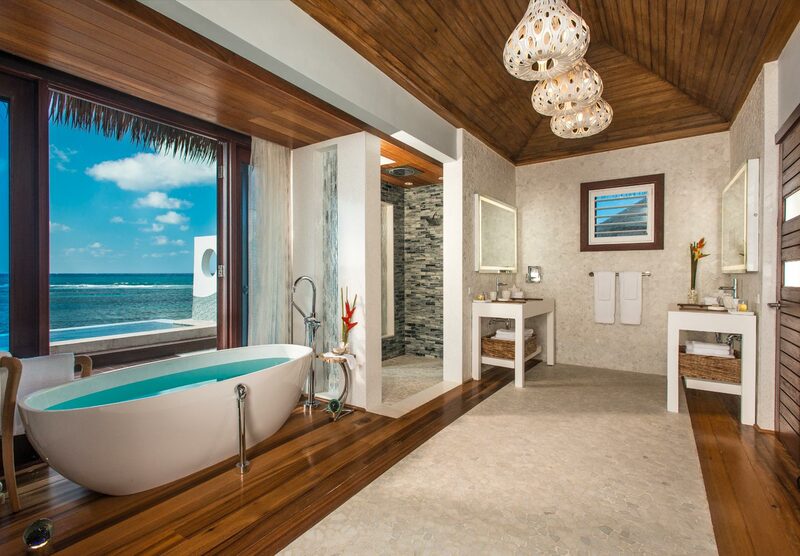 Couples can also admire the beauty of the ocean from their private outdoor Tranquility Soaking Tub for two or from their over-water hammocks. Every bungalow captures the height of luxury with hardwood floors, vaulted ceilings, custom crafted king-size beds adorned with soft linens and plush pillows for the ultimate sleep experience. Inside, each bungalow is also equipped with a smart TV and a large ceiling fan to stay cool while enjoying fresh Caribbean breezes. The bathrooms are equipped with his and hers sinks, a large backlit mirror adorned with mosaic tile, and a walk-in rain shower. Outside, the private patio is also equipped with an extended sun deck, outdoor shower, sun loungers, and a bistro set for two. Beyond the views, guests staying in the newly debuted bungalows will have access to unparalleled services and exclusive amenities from 24/7 butler service, trained in accordance to the exacting service standards of the Guild of Professional Butlers, exclusive in room dining and room service menu and direct resort access via a “Royal Duffy” luxury boat. 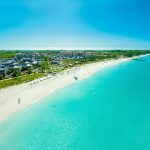 Additional bungalow features include: personal airport greeting with expedited immigration; private luxury resort transfers; welcome gift, including a branded towel set; Molton Brown bathroom amenities, free WiFi and more. 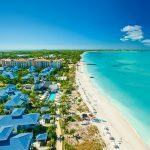 Built along a beautiful wooden, heart-shaped boardwalk, the bungalows are connected to land at Sandals Royal Caribbean’s offshore private island, Sandals Cay. An experience onto itself, the island features a newly redesigned pool with a signature pool-bar; two restaurants including The Jerk Shack, offering authentic rustic cuisine and Royal Thai, capturing the flavors of the East; and number of nestled hideaways. 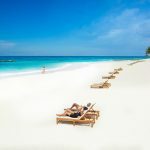 Located on the northern shores of Jamaica, Sandals Royal Caribbean Resort & Private Island a mere 10 minutes from Montego Bay’s Sangster International Airport. 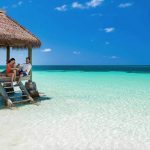 What Do The Over Water Bungalows Cost? 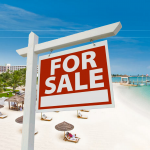 With all of those amenities, how much do the over water suites cost? The price varies based on time of year, availability and length of stay but these luxurious villas start at $1,078 per person/per night. For your best rate, travel in the Fall!